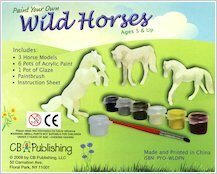 Whip up a storm with a painting kit full of wild spirit! 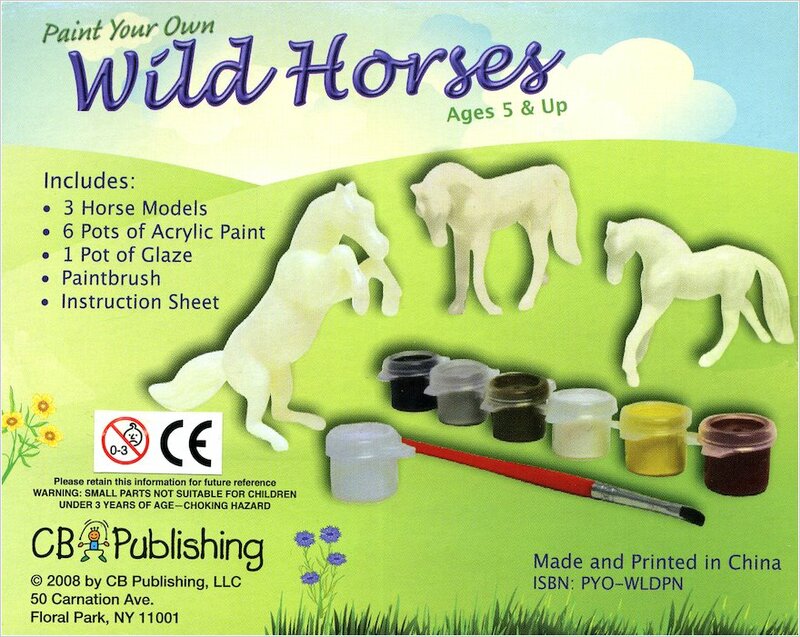 If you love horses, prepare to be inspired by this creative box of runaway fun. 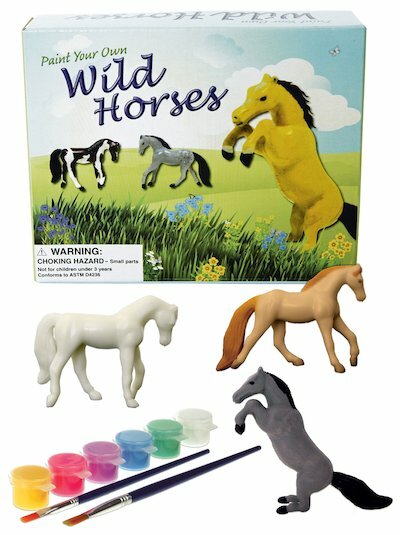 Three beautiful wild horses flash their hooves, shake their heads and toss their flowing manes. All they need is somebody to paint them. So let loose and set their spirits free! Contents: three plastic horse models, six paints, glaze and a paintbrush.